Those with a painful history are apt either to forget or rewrite their history. While some, like talk-show host Steve “I don’t really care for slavery” Harvey, prefer to forget the painful past, there’s a growing literary trend in which writers are crafting an alternate past with the hope of shaping a better future. “It’s not that we want to forget the past. 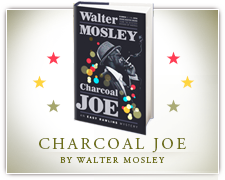 We want to own the past,” said Walter Mosley, one of the most read American novelists at work today. The author of more than three dozen fiction and nonfiction books, Mosley gained famed through his Easy Rawlins mysteries, including “Devil in a Blue Dress,” which was made into a motion picture starring Denzel Washington. 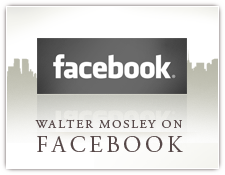 Science fiction allows African American writers to tell often ignored stories, Mosley says. “Black people — we built America. We weren’t just here. Knowing that has really become important. We have great scientists — George Washington Carver isn’t science fiction,” says Mosley, referring to the Tuskegee Institute scientist famous for his groundbreaking work with peanuts. Afro futurism is a cultural movement that encompasses literature, dance, art, music and more, while speculative fiction is a catch phrase for science fiction, fantasy and horror, super hero fiction and Steamfunk. “It’s a celebration of black culture that has a historic base but also celebrates a timelessness,” said Na’Imah H. Ford, who teaches in the FAMU Department of English and Modern Languages. When Ford thinks of Afro futurism, artists such as Common, Erykah Badu and Andre 3000 come to mind. It also includes black speculative fiction, which features novelists such as Octavia Butler and Tananarive Due. Due, an American Book award winner and screen writer, is scheduled to lecture Wednesday. For her, it’s a sort of homecoming — she was born in the campus hospital; her father, John Due, and her mother, Patricia Stephens Due, who helped lead the Tallahassee student sit-ins during the civil rights era, met at FAMU. Science fiction was once considered the domain of geeks. Not anymore, Due said. “I was writing horror before I knew I had ‘family,’ or had heard of a black horror or science fiction writer,” Due said. Everything changed after she was invited to Clark Atlanta University in 1997, when she met Octavia Butler, Steven Barnes, whom she married, Samuel R. Delany and others. It was “very powerful,” said Due, whose short film, “Danger Word,” will be screened during the festival. On Thursday, the conference will feature a series of scholarly presentations and lectures. Mosley takes to the Lee Hall podium on Friday evening. He’ll read from one of his latest novels, talk about his work and answer questions. With Tallahassee being a town that spawns writers, Mosley is sure to get questions about his writing habits. He writes every day — two to three hours a day, mostly in the morning. 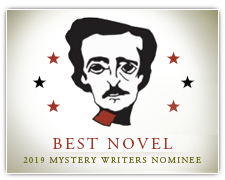 Mosley writes in a variety of genres at the same time — nonfiction, political, mystery, young adult speculative fiction. An Easy Rawlins novel is in the works and he has another book coming out in May. In January, he published “The Further Tales of Tempest Landry,” a novel about a black man killed mistakenly by police in Harlem. His debut young adult novel, “47,” published in 2005, combines historical and speculative fiction about the protagonist, 47, a young slave boy contending with a brutal slave master. Some who grew to love Mosley for his Easy Rawlins series have followed him to science fiction. But whether he’s writing about heroes or issues, some readers will devour whatever Mosley writes.